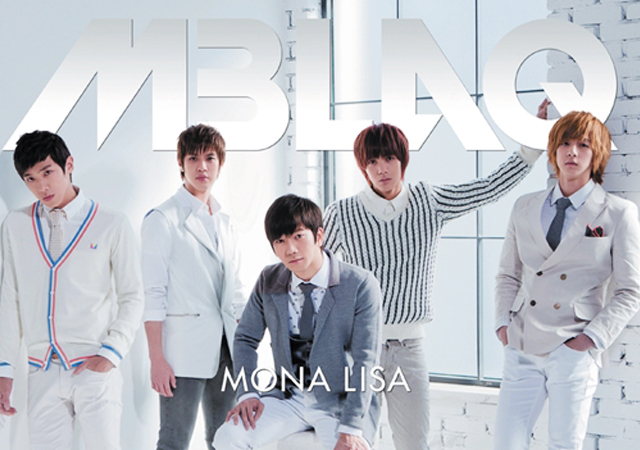 MANILA, Philippines - The concert of Korean boy band MBLAQ slated on March 31 was canceled "due to unresolved technical and production concerns." The announcement was made just hours before the concert was to be held and when many fans were already at the concert venue. "The managers and producers of 'MBLAQ: FIRST CONTACT' regret to inform the fans, sponsors and the public that due to unresolved technical and production concerns, 'MBLAQ: FIRST CONTACT' is CANCELLED," according to a post on Facebook by SM Tickets. It added, "All tickets purchased from SM TICKETS for this event shall be fully refunded upon surrender of ticket at the SM Ticket outlet where it was originally purchased. The managers and producers extend their sincere and deepest apology for these unforeseen developments and any inconvenience this may have caused." Three hours before the cancellation announcement was made, Aliw Theater, the concert venue, released a statement saying that the concert would be moved to April 1 due to MBLAQ's failure to board their flight to Manila. "The Management of Aliw Theater regrets to inform the public that it is in receipt of communication from the managers and the promoters of 'MBLAQ FIRST CONTACT' that the event scheduled for March 31, 2013 is officially moved to April 1, 2013 7PM (Monday) due to MBLAQ’s inability to board their scheduled flight," said the announcement posted on SM Tickets' official Facebook page. The announcement also stated that, "In view of their fan’s sentiments, MBLAQ will treat their fans to a 'HIGH-TOUCH' experience. We request the indulgence and understanding of the public." MBLAQ was supposed to perform along with K-pop groups EXITE and Two X. Fans said Two X was already in Manila when the announcement was made. Even 2NE1's Sandara Park, sister of MBLAQ member Thunder, tweeted about her brother's visit to Manila. "I really wanted to go to manila to support my baby brother pero nagkaroon ng trabaho si noona. Pero kaya nya yan!!! Kailangan nya lang na Mainit na welcome nyo! Sa pagbabalik ni thunder sa phil after 6yrs!!! Inggit ako sa inyo mga A+ PH! Yeeeheeee~ enjoy the show! Have fun!" she wrote on Twitter. Fans were sad and angry that the concert was canceled. On Facebook, fans posted their comments about the unfortunate event. "So is it's now totally cancelled?! T_T it's really sad after giving us some hope that the event will push through by tomorrow!" wrote Jane Ann Reyes Alam. Cee Valientes posted, "Guys!...The MBLAQ concert is totally cancelled na talaga! We called the SM ticket outlet for refund after I received an information from the people I met at the venue. Super Duper DISMAYADO ako kanina!... I am already there tapos biglang mababasa mong 'POSTPONED.' Ngayon, naka-uwi ka na sa bahay... cancelled na talaga!" "We demand an explanation from the production/organizing team!" said Kat Doria. Ysa Milanes wrote, "Aw nalulungkot ako para sa mga fans! ANO BANG VALID REASON niyo at kylangang i-cancel ang concert? Isang ngang press conference jan. LIBO-LIBONG TAO inistorbo nyo. Sa tingin niyo ba lahat sila pinulot lang yung pinambili ng tickets? Masakit yung pinaasa." Erika Bautista commented, "Kauuwi ko lang from Aliw. Sobrang antay kami sa announcement. Tapos ganon nalang un? Nakita pa namin ang Two X kanina."